If I ever become a parent, I think I will enjoy recalling the details of what it was like to live in the 2000s to my kids, telling them about all the primitive technology I had to endure while growing up. I would tell them about the 10GB hard drive I had in my computer, which mind you was big for its time, and the time before digital cameras. However, I think the hardest thing they will grasp to realize is the fact there was a time before the Internet. While the Internet itself was born much earlier than I was, I did not see its impact personally until I was around three or four. I remember my dad would bring home multiple 3.5" floppy disks with thirty day trials of dial-up internet. He would then set it up, plug a telephone cable into our newest Acer laptop and getting online. I also remember the days of accidentally picking up the telephone while someone was connected, hearing the beeps and boops, and then hearing someone yelling from the computer to hang up the phone. It was not until I was a bit older when we finally got Telus high speed Internet, reaching a blazing 15Mbps download. However, nowadays this is pretty slow, especially with Gigabit speeds becoming the norm. It is amazing to see how fast technology has progressed, and the routers too have become just as fast. 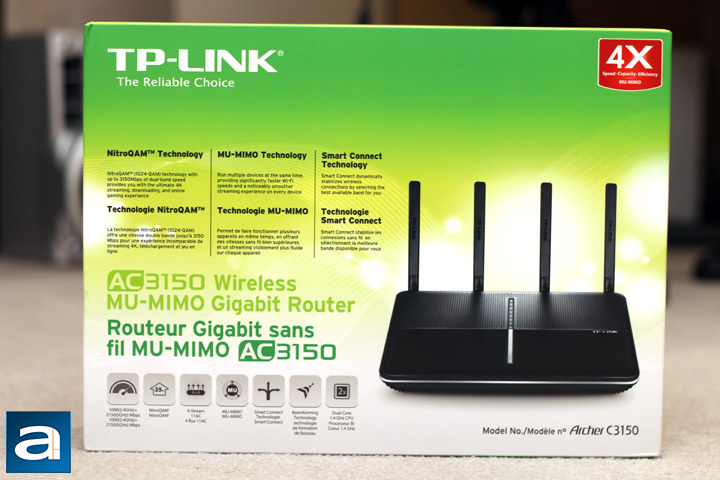 Today, we have another wireless router in our labs, the TP-Link Archer C3150. While this router should be much more capable than my days of dial-up internet, we should still question how well this one performs in today's standards. As one of TP-Link's top tier routers, how fast is it? Hopefully today's review will answer these question and more! Today's review unit of the TP-Link Archer C3150 arrived from Toronto, Ontario, where TP-Link's Canadian offices are located. 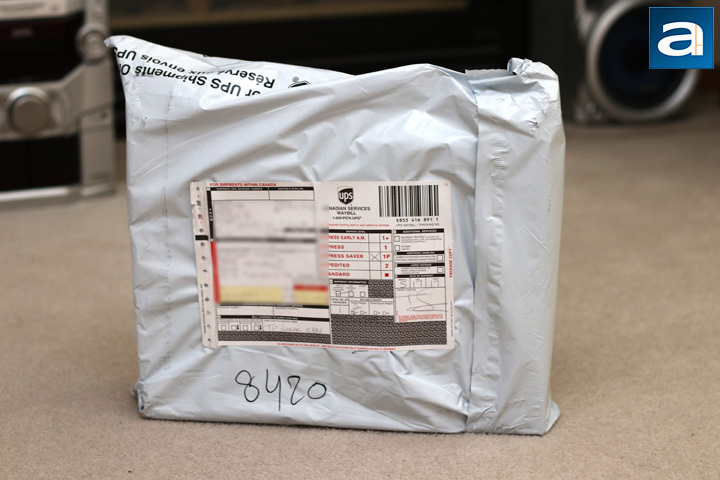 Traveling with UPS' Saver service, this parcel arrived in excellent condition without any real issues to speak of. As this arrived not in a cardboard box, but rather a shipping bag, you will not notice any dents or scratches as much as normal. Instead, the real concerning things would be holes and deep gashes. Thankfully, we have no points of concern on this unit, so I ripped open the bag to get to the unit. Inside the UPS marked shipping bag is TP-Link's retail container of the Archer C3150. With a lime green and white color scheme, the box looks relatively attractive, though there are a lot of words on it too. As this is from the Canadian offices, it is no surprise the unit we received is filled with the two official languages of Canada, with both English and French making an appearance on the front. On an aside, I can also take this time to say Happy 150th Canada Day! Moving along, an image of the router is on the right side of the front, while three main features are printed on the left side. These three features are called NitroQAM Technology, MU-MIMO Technology, and Smart Connect Technology. Otherwise, even more features can be found underneath. 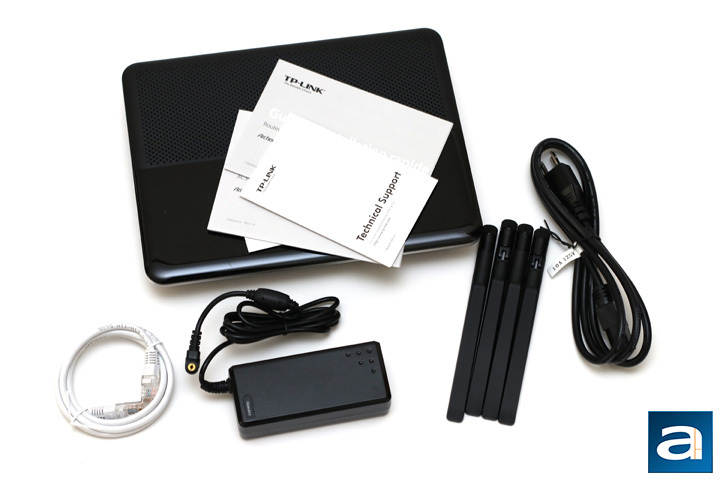 As indicated by the name, the TP-Link Archer C3150 is meant to operate at the IEEE 802.11ac 3150Mbps standard. Other features and specifications can be found around the box. Out of the box, we have a pretty standard set of box contents. Everything is contained within a white cardboard box, with another cardboard shell holding everything in place. From here, you can see the TP-Link Archer C3150 router unit wrapped in a translucent plastic bag. Four detachable antennas are also included in another translucent bag. The power supply and cable are in their own transparent plastic bags. A short white CAT5e Ethernet cable is also included, measuring approximately 120cm in length from end to end. Finally, TP-Link has provided us with quite a few books of quick guides and other documentation for usage with the router.